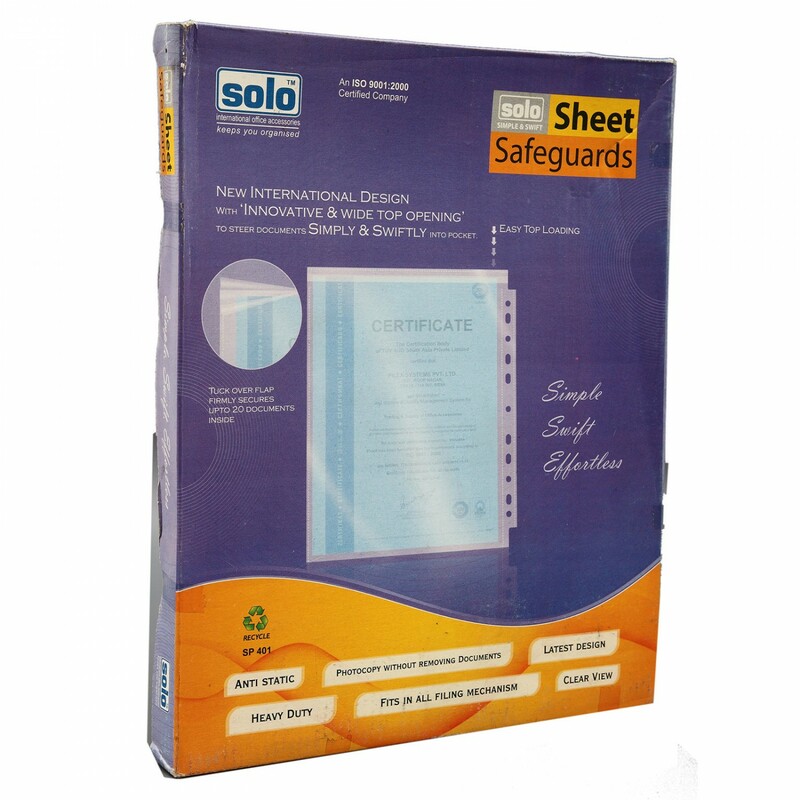 The Solo Sheet Protector is a Sheet Safeguard with New International Design. 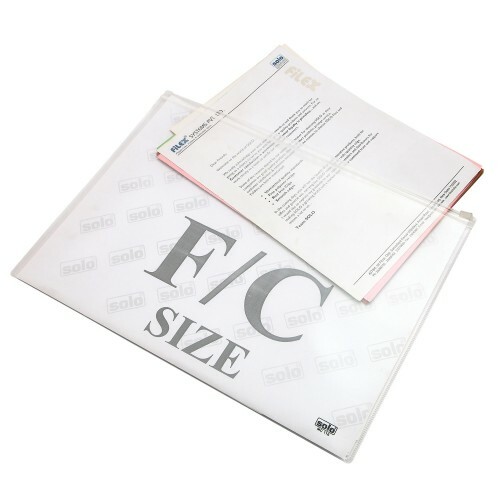 All four sides of this Solo Sheet Protector are closed and the special top tuck over flap firmly closes on the open side and secures up to 20 documents inside. 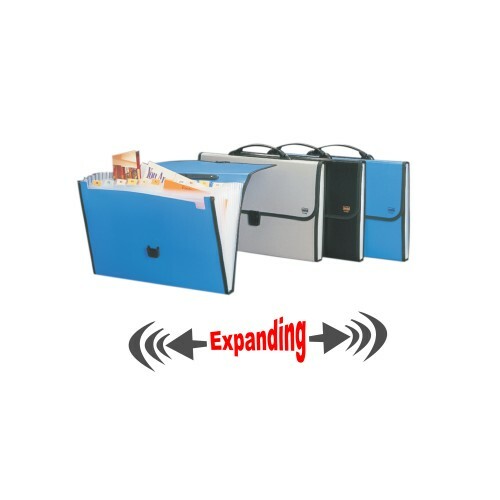 The innovative and wide top opening allows you to simply and swiftly steer the documents into the pockets. 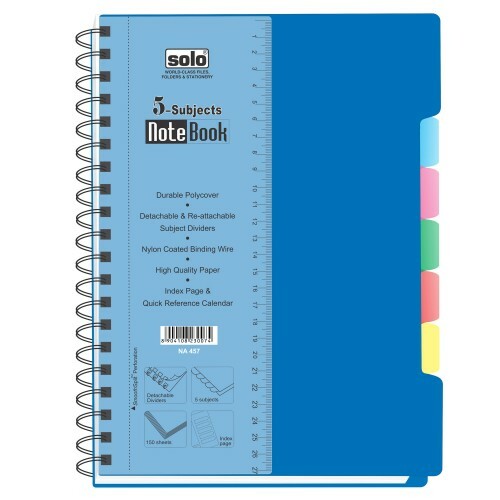 The heavy duty pockets have Ultrasonic Sealing at all edges and can hold up to 30 Sheets at one time. 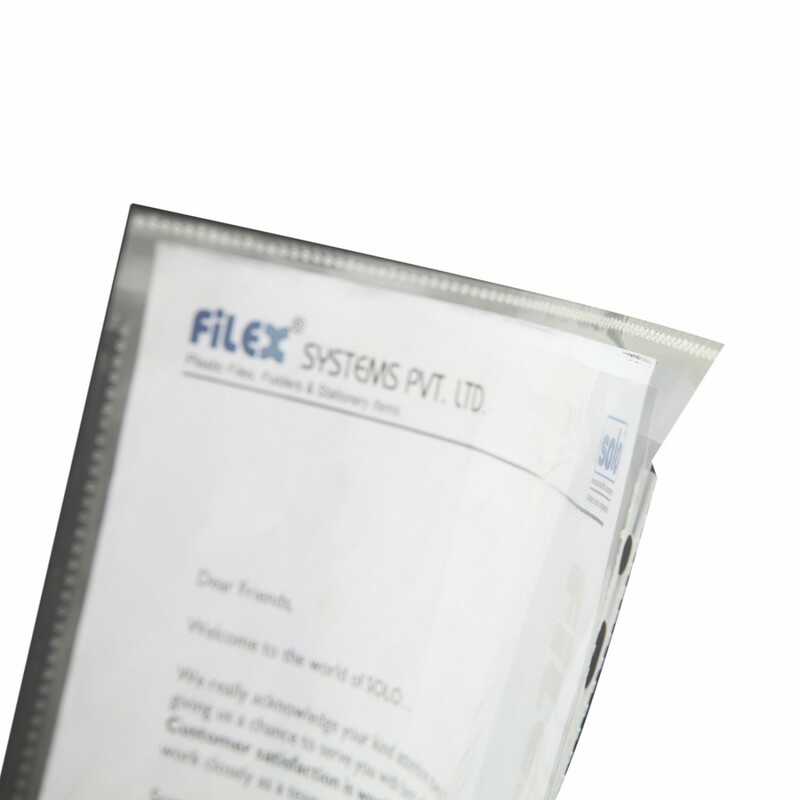 The Anti-static properties enhance the non-stick nature of these pockets and enable them to fit all kinds of filling mechanisms. 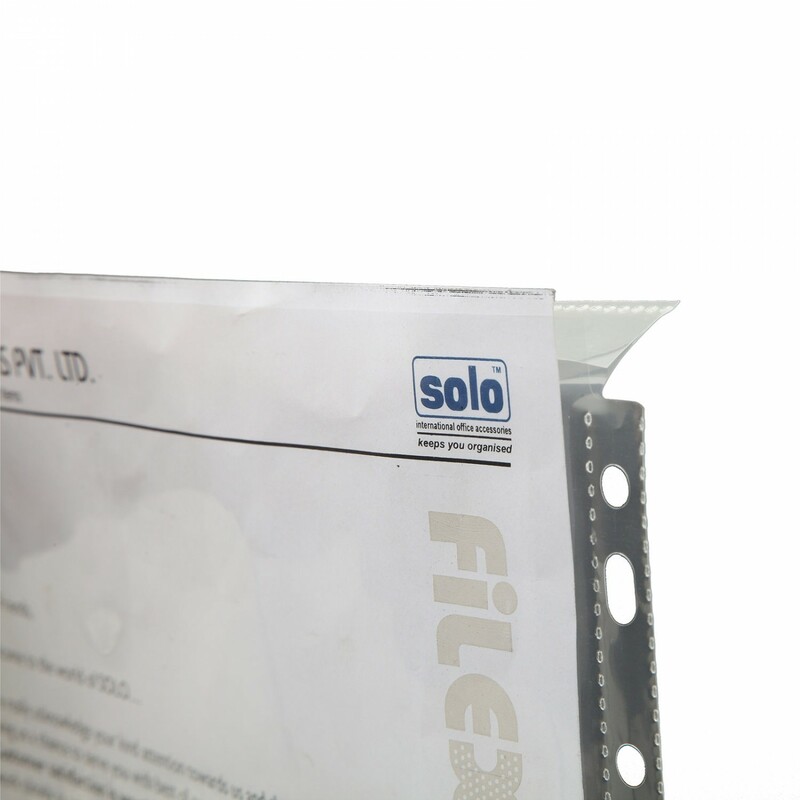 This Solo Sheet Protector has Double Reinforcement at the 11-Hole Universal Punch and is made strong enough for lifetime use. 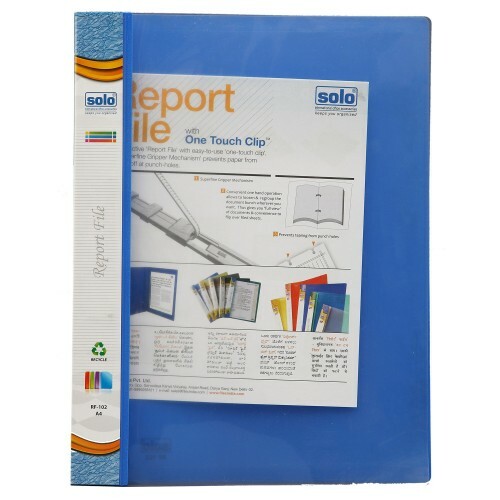 This Solo Protector proves to be handy for storing important documents such as brochures, receipts, maps, charts, reports, certificates, menus and photographs. 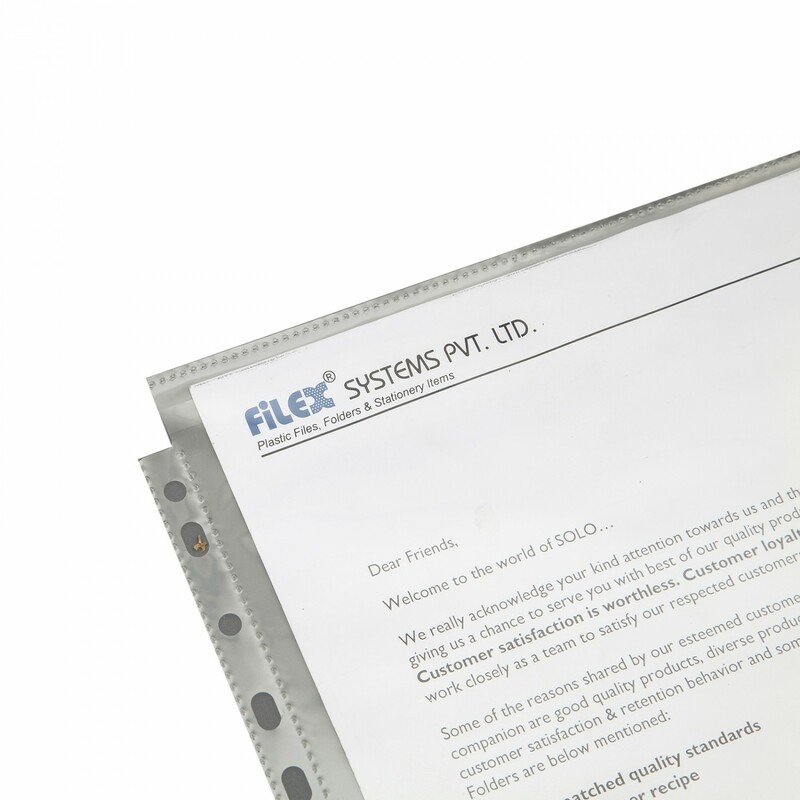 All four sides closed sheet protectors . 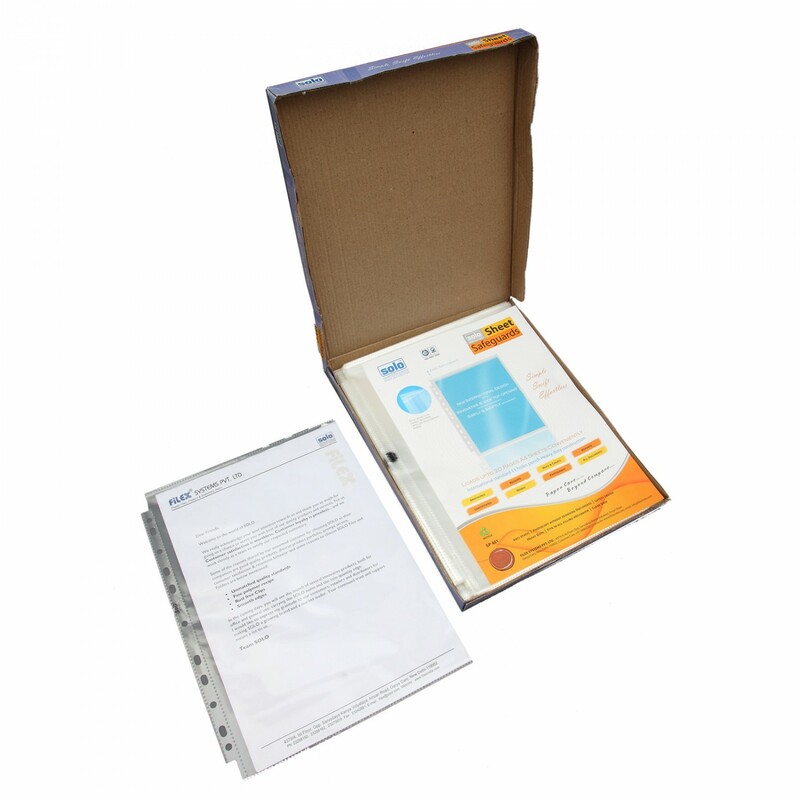 Innovative & wide top opening to simply & swiftly steer documents into pocket . 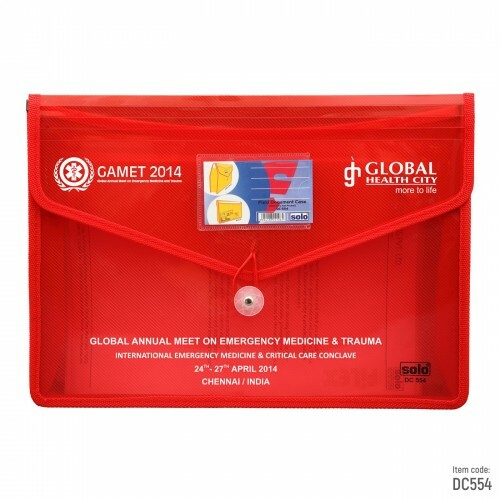 heavy duty pockets hold upto 30 sheets . Ultra some sealing at all edges . 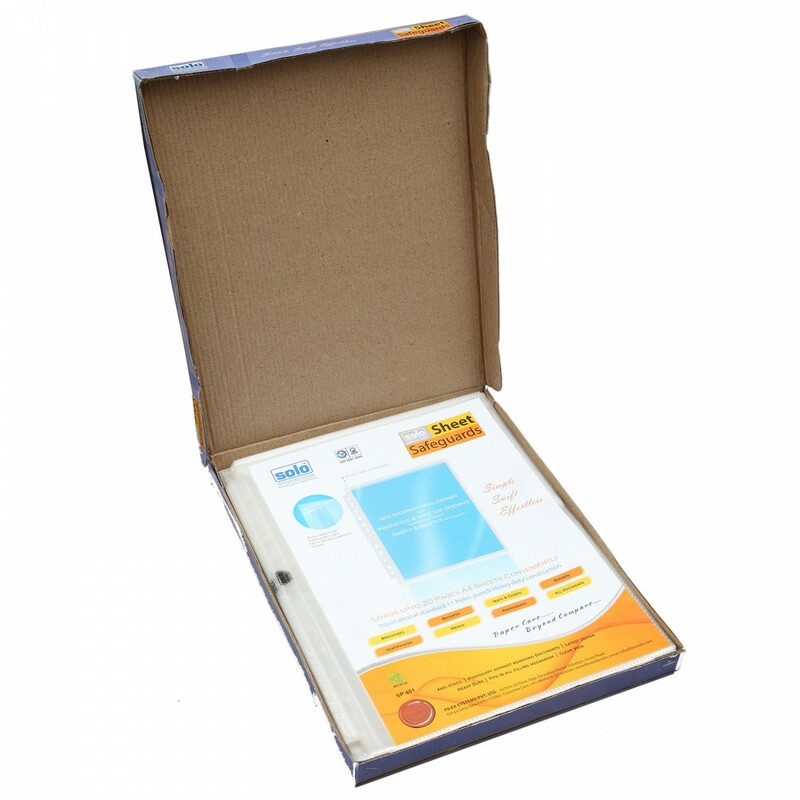 Double reinforcement at 11- holes universal punch. Fits all kinds of filing mechanisms . Ideal for Brochure, Receipts, Maps & Charts , Reports , Certificates , Menus, Photograph, All documents. No of Pieces: Pack of 100 pieces. 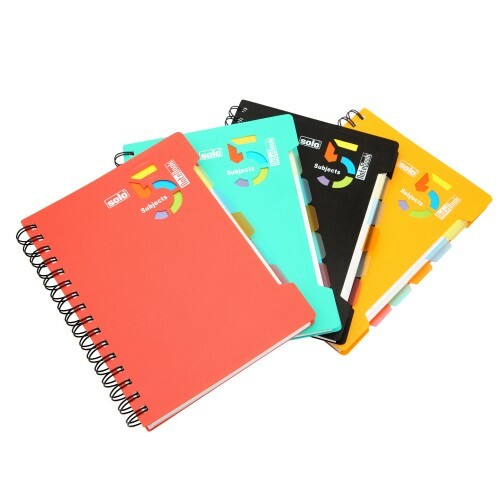 GSM: 70Length: 148MMHeight: 210MMNo of Pages: 300No of Pieces: 1Size: A5TYPE: Executive Notebooks.We..